All About GOD India Outreach - Double Your Gift's Impact! Will you take 1 minute and 37 seconds to watch this short video clip of a man in India who searched for Jesus on his smartphone? Digital Evangelism works to cost-effectively share the gospel! Today Das is our brother in Christ and leading his neighbors in India to Jesus! A long-time partner in the gospel with AllAboutGOD is offering a dollar-for-dollar match up to $15,000 to be used to reach even deeper into the 10/40 window comprised of 70 countries and 4.83 billion people. We currently reach this window primarily in English, Chinese (Mandarin), Portuguese and Japanese but the 4th largest language in the world with the most native speakers is Hindi. Cover this outreach in prayer for the people of India, the 10/40 window and the world to come to know Jesus Christ. 500 articles in Hindi-Latin - India's youth search Google.in on their mobile phones using this Romanized variant. Preliminary testing showed this language variant to be the most fruitful for salvation decisions by over 200%! Position the 1,000 articles at the top of Google.in - Build and launch these new pages on our state-of-the-art SEO and mobile-friendly websites using our proprietary technology. AllAboutAnswers Hindi Response - The 65 evangelists and translators in India have agreed to correspond and disciple all the people in Hindi and Hindi-Latin using our system. Virtual to Real World Discipleship - Any Hindi-speaking Indians that receive Jesus and live near one of the 65 indigenous evangelists will be extended an invitation to be discipled by them in real life in order to teach them to reach even more people in the 10/40 window! Double the impact of your gift up to $15,000 to reach India, the 10/40 window and the world for our LORD Jesus Christ by giving below! Or... read the second page of this PDF file of the encouraging stories of Indians we reached in English and then give below! Every $1 (One Dollar) received and spent from January 2013 to today has resulted in at least one person sharing their first-time decision to receive Jesus as their LORD and Savior! AllAboutGOD.com is a service of All About GOD Ministries, Inc., a 501(c)(3) non-profit corporation located in Belen, NM. 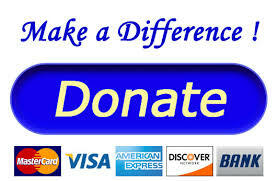 Your gift(s) to this outreach are tax-deductible to the fullest extent allowed by U.S. law.